Hubbub - Race for the Line! This is a wheely good project! We are a state funded academy grammar school in the heart of Buckingham. We want to inspire our 174 Year 7 (ages 11-12) students into STEM subjects with the Bloodhound Race for The Line Project. 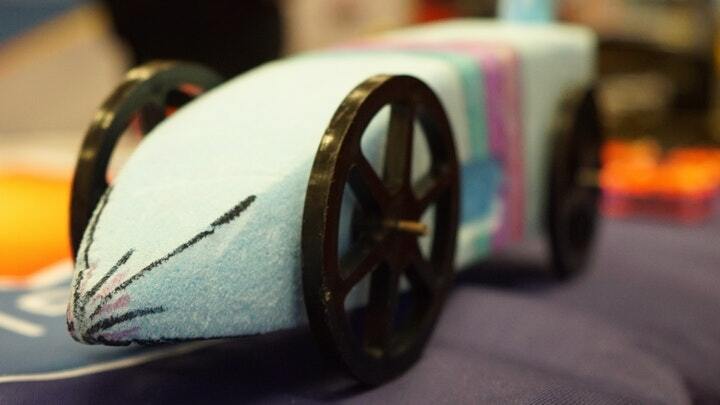 We'd love a 3D printer to enable students to design and fabricate their own wheels for their rocket cars. Our students currently have no access to formal Design Technology education. We are looking to grow the curriculum to offer a unique blend of computer science, digital electronic product design and engineering principles. Our plan is to use innovative technology such as programming Arduino-based microchips in fabricated products. 3D printing will excite students, and inspire them to think about modern fabrication methods - particularly those involving automation. What better way to inspire children than to run this project at a time when Bloodhound SSC is capturing the national interest?! We are trying hard to give students exposure to modern design technology. Whether or not such projects continue will, in part, be based on the success of this project. Please help us to make sure it is a success and a solid foundation for years to come. If you believe in the importance of STEM and are able to help, we would very much appreciate your support. If you can't donate but could help in other ways, we'd love to hear from you. Please by all means contact us via Twitter ( @RLSComputing ) or share the link to this project. Thank you. A thank you note from myself, Laurence James, Head of Computer Science at The Royal Latin School.